Talking Point: Can Sony Actually Surprise at E3 2018? Somewhere buried in the depths of Sony HQ, behind armed body guards and elaborate lock panels, there’s a whiteboard with the agenda for PlayStation’s big E3 2018 showcase hastily plotted out on it. But some three months prior to the livestream getting underway, we’re curious whether those squiggles of red and black ink could possibly harbour any surprises at all – or if, like the somewhat safe E3 2017, this is going to be another presentation filled with projects we already know about. There was nothing wrong with last year’s show, of course, but the Japanese giant is now paying the price for the shock and awe of past pressers. It won’t take you particularly long to predict the lineup for 2018’s show: The Last of Us: Part II’s full gameplay reveal has already been confirmed; Spider-Man will almost certainly get dated, too. Days Gone, fresh from its delay, will assuredly put in its third E3 appearance, while Dreams and Death Stranding are working towards similar records. Third-party partnerships like Red Dead Redemption 2 will presumably pad out the itinerary, and with PlayStation VR and a token indie or two, we’re already looking at a 90 minute slate of advertorial entertainment. But would this lineup really satisfy when all of the games are known quantities? Can Sony even surprise at this stage? 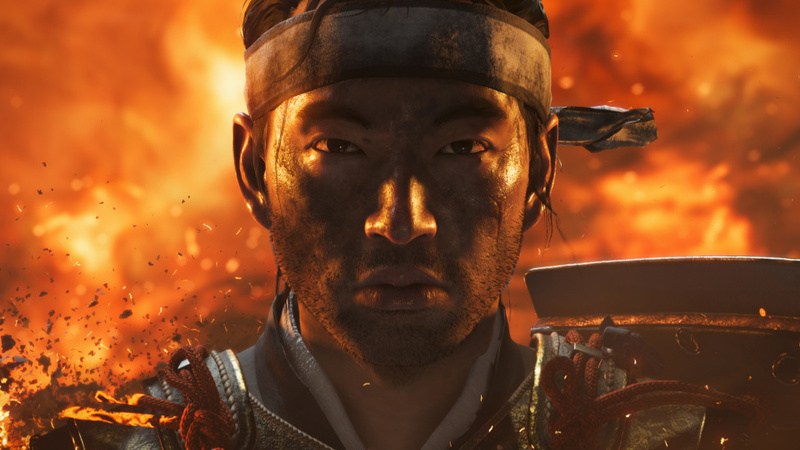 Ghost of Tsushima could very well be ready for the primetime, but Sucker Punch has already had its “shock” moment. And there are smaller projects like MediEvil Remastered in the pipeline – an exciting proposition, but not really the megaton that’s going to get Hip Hop Gamer out of his seat and thrusting his boxing belt in the air. What else even is there? Sony’s first-party teams are pretty much spoken for at this point. There’s Japan Studio, we suppose – it very well may have new projects in the pipeline after putting out the likes of Gravity Rush 2 and The Last Guardian over 12 months ago. Speculation suggests it may be collaborating with From Software on Bloodborne 2, but this may just be wishful thinking. After last year’s weird reveal teaser, our understanding is that it’s something new – and multiformat, too. There are third-party games that are likely to show up on Sony’s stage; Devil May Cry 5 is unlikely to be an exclusive, but you can expect the platform holder to smother it like it did with Monster Hunter: World. And it makes sense for Spyro’s speculated remaster trilogy to launch first on the PS4 given the character’s historical association with the brand; it won’t halt the waves of port begging that will inevitably follow thereafter. After how we all reacted to Rise of the Tomb Raider, nor should it. So can Sony truly surprise this year, then? Well, for it to do so, it needs to have something more than we’ve outlined in this article. Is that realistic? For as much as we hope to be proven wrong, we’d argue no. The Japanese giant is paying the price for early reveals in past years, and while it’s hard to complain about the potential lineup it will be able to assemble for E3 2018, perhaps we should calibrate our expectations accordingly in advance; true surprises look like they’ll be thin on the ground. Do you believe Sony can still surprise at E3 2018 this year? Do you even care about shock reveals if what’s on display looks great? What does the Japanese giant need to do to impress you? Drop a megaton out of nowhere in the comments section below. I think they will keep the presentation under 60 minutes. The pre-show has gain some relevancy in showing indie games and games with lower profile. There is going to be at least one suprise. They can show some titles ya mentioned... it’s prob gonna be a solid conference. Not sure if it will have many surprises, I believe that the gameplay reveal for games like The Last of Us 2 and Ghost of Tsushima will be the biggest thing of the show. Maybe more details of Death Stranding as well. Red Dead Redemption 2 will be huge, Sony will spend a lot of time talking about the game. The same goes to Devil May Cry 5. I would be really happy with a new Ratchet & Clank and Sly Cooper on PS4. Also, many people like me are expecting Bloodborne 2, or at least Demon's Souls remastered. The Internet will never be satisfied with sony, they can announce the most amazing games and will still get s*** on online! The PS4 still selling strong, and aproaching the 100 million units. I think the PS5 will be announced when PS4 sales start to slow down. @gmxs That'll be a great way of slowing down PS4 sales. I don't think they'll do that. If I get to see Medievil and Ghost of Tsushima gameplay I'll be happy enough. But I'd be surprised if there isn't one significant reveal of some kind. Deep Down? I don't want to hear anything about PS5 this year. I only got the Pro for Christmas 2016. I want the rest of 2018 without having to think about buying a new console. 2019 is plenty of time for PS5 reveals. Vita 2, knack 3, Death Stranding gameplay. I want a new Ratchet & Clank game . The remake was amazing ( even better on PS4 Pro ). Seems a bit early for "What will Sony show at E3?" as it's still 3 months away, but after reading the article this isn't really about E3, it's about what games Sony has left on PS4 before they all move to PS5 development or co-development. E3 does sound a bit like "Here's some release dates for games you've been waiting 2 or 3 years for", but I suspect a surprise or 2 has to be in there somewhere. PS5 does seem to be hanging large now though, doesn't it? What company is going to start on a big 2 or 3 year long project for PS4 unless it's also going to be on PS5? Well besides Ghost? Still I think they'll have enough. Besides the games mentioned in the article there's also KH3, the new Tomb Raider, Shenmue. I for one am still glad No Man's Sky is released, that game got way to much coverage at way too many events. And with GoW released maybe they'll choose E3 to announce some DLC similar to Frozen Wilds. If we don't play as the boy in the game surely we'll play as him in the DLC. At some point they'll get separated or Kratos will get KO'd for a bit and we'll find out what happens to the boy during that time, like the FFXV "Episodes". Maybe announce some Spiderman DLC as well. There should be enough games covered for PS4 fans to be happy. Sony will be going HARD on Pro enhancements this E3 as they try to sell Pro to all of the current PS4 owners, so expect 5 minutes of that alone. PS4 swansong this year, PS5 next E3. Could be worse. If we are a year before announcment of a PS5 (which I think we probably are - announced 2019, launch 2020) then this is going to be a sort of transition year where new titles are going to be channelled into new hardware for reveals and hype. That means E3 will be more muted and focus on announced games. I think one surprise might be being held back, but nothing massive. I genuinely have no idea what to expect at E3 this year. So hopefully that equates more surprises. I think this e3 sony will be "all gameplay", days gone, ghost, death stranding and other exclusives games. Sony surprises me every day with its ongoing commitment to big single player games. PS1 emulator for PS4, new Vita and a wireless VR headset. @Futureshark PS1 emulator? Kinda a long shot this late in the game. Wireless VR headset? Nah, they're keeping that under wraps for PS5. I know. Announce PSN name changes are ready to go and will coincide with the release of firmware update 6.0. Remember Shawn Layden DID say last year to Greg Miller that he wouldn't have to ask about it again this year. Hmm, the next Japan Studio game would be cool to see. I liked when they were doing smaller games like Puppeteer and Rain near the end of the PS3's life. Dragon Quest XI finally getting a release date would be nice : p (It's an exclusive if you don't count the 3DS version too). Personally, I don’t care in the slightest as long as I know quality games are on the way (and they definitely are). I’m not saying a couple of surprises wouldn’t go down well, but I reckon the people who really care about massive surprises are the fanboys fighting their silly little war with MS.
All I need is Devil May Cry 5, and I'm good for E3 2018 and probably even the PS4 generation as far as surprises go. Sony could still deliver unexpected stuff but it doesn't really have to. The console has really come into its own over the last two years and there's good stuff lined up for this year and 2019 as well. It'll end up easily the third best PlayStation system (counting the PSP and Vita as well) and could challenge PSone for title of second best when it's all said and done (PS2 will always be top dog, imo). Basically, PS4 is already a massive success, no need to shock people anymore like it had to a few years ago. Major surprise announcements, ones that can help move consoles off shelves, should be saved to build hype for the PS5. I don't know. There really doesn't really seem like there is a lot left in the tank. However at the same time I wouldn't be shocked if Sony pulled out some megatons just to remind everyone why exactly they're top dog. It's weird. I'm not expecting much at all, which means this will probably be the greatest PlayStation E3 of all time, right? If PS5 does come next year then this will a transitional E3 where all the big games are known about and other projects are kept tight lipped for obvious reasons. Only thing that will surprise me is if we see general release dates. Even without many surprises, there should be plenty of interesting things to show in the Sony conference. Still, I'm expecting the Sony E3 to be least surprising out of Sony/Nintendo/Microsoft. last year despite the great format lacked the big surprises we're familiar with, i'm certain this e3 sony is going to knock it out of the park with surprises. At this point i doubt there is much to surprise us with. As you say there will probably be some smaller VR titles to show. But at this point firm release dates for Spiderman, dreams, tlou2 etc is probably enough But you never know. Sony has pulled it out of the bag alot at these conferences when everyone doubted them so who is to say this is any different. I'm most interested in seeing ghost of Tsushima gameplay. We will likely have to endure some fluff on destiny or cod as per marketing arrangements and we may see more on kingdom hearts 3. @adf86 @ShogunRok Knack 3: Knack, Knack, Knackin' on Heaven's Door. I'm already not expecting anything new, not with the current lineup. But I think we'll get a release date for Spider-Man before E3. Maybe as soon as next week. And I got a sneaking suspicion Sony isn't finished with Ready at Dawn yet. I'm expecting them to show up. Sony are going to announce that the FF7 remake will be released on 24th December 2018 and will finish the conference by announcing a new console exclusive - Half Life 3. How's that for a surprise? Some hard release dates for previously announced games would be a nice surprise. 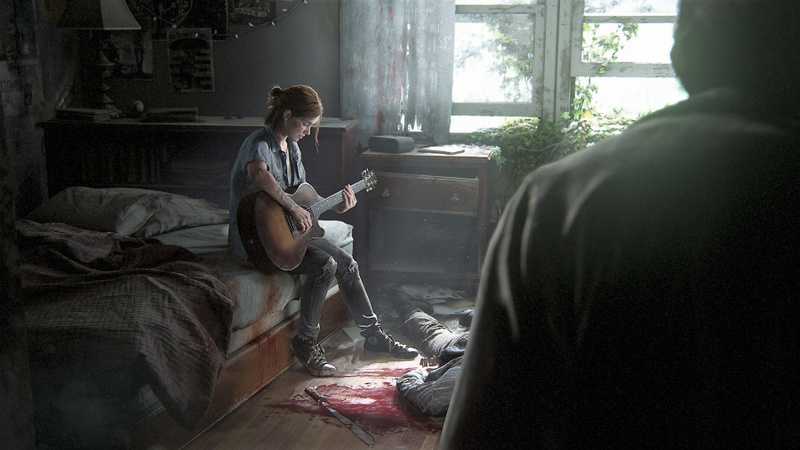 The Last of Us 2 is all I need. Vita 2. That would be a surprise. 3 more month is a long time to keep anything under wraps Name Change going live at E3 would be big for some. I am happy for 2018 with what I know now. Personally I'm ready to get excited about new PS hardware, so some PS5 news would be good news for me. But it'll never happen! PS4 has some mileage yet. Talking of Knack, I hear he's in Ready Player One among the many cameos. I don't get the fascination with E3. Whether a game is announced there and then or tomorrow doesn't make a difference to me as long as it's good and I get to play it. Let's see: The Last of Us 2; Ghost of Tsushima; Dreams (? ); Spider-Man (? ); Medievil; Days Gone; Death Stranding; Concrete Genie; Red Dead Redemption 2 and Devil May Cry 5. Would be frickin awesome. Now with Ratchet & Clank; Sly Cooper and Demon's Souls remastered = perfection. I think they could. All they need is one or two surprise annoucments and they’ll be golden. I really hope they do. I also wouldn’t be surprised if they got a third-party game to be exclusive. I mean, DMC5 could be exclusive if it had a hard time getting off the ground otherwise. I know that’d make me excited. Let’s get silver hair Dante back, and forgot DmC happened. I think they might spend only half the show running through the ones we all know about and the other half showcasing new stuff, both VR and regular. I think that would give them plenty of time to wow us. @get2sammyb Leaks for Dev kits should come out in April but Sony would never talk about PS5 this year as they’d wanna sell as many systems as possible, they’re gonna announce it either next February or March and it’ll launch Fall 2019 on 7nm. I think Sony are in a difficult spot that we haven't realised. I say this because of Microsoft. Predictions from gamers, journalists, analysts have more or less been putting the ps5 release in 2020. But I have yet to read in these predictions anything said about what if Microsoft releases their xbox two for fall 2019. Can sony have a year delay release like with ps3? OK so it might be crazy for MS to release a new console so soon after the Xbox one X. So would make sense for MS new console to go one-on-one with ps5 in 2020. Then I think about MS e3 press conference. Will they show new xboxone releases for 2019 that we don't know about? As they don't really have anything for 2018, maybe they get desperate and what they bring is game trailers for Xbox two? And if so what does this mean for Sony's e3 press conference? What about WiLD? Hopefully we get some info on that even though it's taken a back seat to BGAE 2. I think it could be a surprise hit. I don't know why but something in my gut says Grand Theft Auto 6 is going to be announced. You know what would be really cool and unexpected though, is some sort of deal between Sony and Nintendo being announced. Maybe some franchise crossovers. Maybe a partnership in a couple of things. I just find the idea of something like that exciting. TLoU2 will release in 2018, mic drop. Internet explodes. Honestly can see this happening. Check this video where Troy Baker confirms the game is already being playtested (skip to 11:45). If it's at the playtest stage then it's not too far from going Gold. I think any hope for a surprise will most likely be with Japan Studio. @RedMan33 I, too, used to get excited about reading the games announced at E3. But now that we have the internet, it doesn't make a difference whether it's announced on the day of the conference or the week before. At the end of the day, it will still be the same game.